I read an interesting note in Dr. Jeanette Winters blog on Courage that is worth taking a look at below. Really? That is a Secret to Better Hiring? I have utilized this truth for 20 years, and I can attest that it is true. People who can be naturally openly vulnerable in an interview have something that others do not. They have stepped past needing to prove themselves. They know who they are and do real things, so even if they got fired, they can say it. They can say what they did wrong and what really happened. They give you real data. That is exactly what you need. Some people may pass on a candidate when he tells what he failed at. We however know that person has that special something. That they will not tell the truth about this history means they will make up stories when they work for you. It is so hard to make right decisions when people you hire are feeding you bad data to cover for themselves. It is even worse when the government or customer finds out first what they did not do right. Now hiring managers also need certain experience and ability to go with, but those are easier to find. At least now you know something to look for. See Also 11 Things You Need for Excellent Executive Search China. 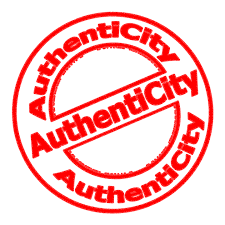 In recruiting if you are only after good resumes and good talkers, you will miss the unseen issues like this certain kind of authenticity.